This is where I am going to meddle in everybody’s business. Some people simply don’t want real solutions to the problems we face today. They find their purpose in life, even their identity, by fighting from a particular side of an issue. This fight is like a game to them, something to keep score in. The money and thrill to be gained by keeping the fight alive is much too profitable and intoxicating to try to really look for a resolution. There are some television and radio programs that would go off the air and newspapers and magazines that would go bankrupt if they didn’t keep the controversy alive and the fear fomenting. We must be honest about this if we are going to be one of the problem solvers. 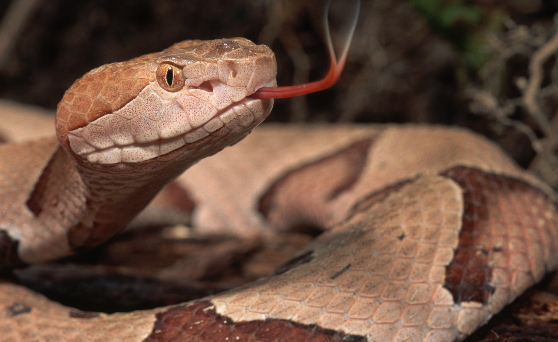 In India there was a certain province that had a severe infestation of poisonous snakes. People were dying in large numbers because of them. The government officials got together and decided to hire professionals snake catchers to rid themselves of these lethal pests. Months past and eventually the area snake population was almost totally eradicated. Then the snake catchers found themselves in a real dilemma. They were working themselves out of a job. Their livelihood, even their sense of identity was at stake. Officials discovered later that the snake catchers had also secretly become snake breeders. Yes, they actually began raising snakes in private to ensure their services would always be needed. It was just too profitable for them to completely solve the local problem. The same is true with many of the political problems facing us today. Some people whose identity and income is so completely derived from the social problems they champion are no longer truly looking for solutions. Their niche industry would go away if they actually solved the problem. These are political carpet-baggers who prey on any opportunity to be seen as the “professional problem solver”. They are especially prevalent in the “Civil Rights” and “Talk Radio” arenas. Wherever there is a problem and a camera you can count on them showing up. Some on the right will use those who stir up community conflict as an excuse to brand everyone on the other side as unworthy to partner with. In truth, it seems the last thing some right-wingers and some left-wingers want is the problem solved, because there is too much money to be made keeping the conflict alive. The “snake-breeders” of our day have no new ideas or real desire to see the issues they are supposedly fighting for solved. We know this because they won’t sit down with the other side (without the cameras) and sincerely dialogue about equitable solutions. They almost never recognize or openly concede the other person’s valid points of view. A book such as this is easily dismissed as a meaningless, mushy moderate point of view to them and their constituents. Their venom poisons every attempt to work and build lasting relationships between both sides. Some ministers, unaware they are using the Bible every Sunday to validate their separation, forget the Son of God was willing to be suspended between heaven and earth to bridge the gap. We can discover new solutions if we look in places we have not looked before as we talk to each other and not at each other. Posted in Most Popular Articles and tagged Al Sharpton, Christian Maturity, Deception, Fox News, Huffington Post, Jeff Krall, Msnbc, Politics, Rush Limbaugh, Sean Hannity, Talk Radio on August 6, 2012 by Jeff Krall.